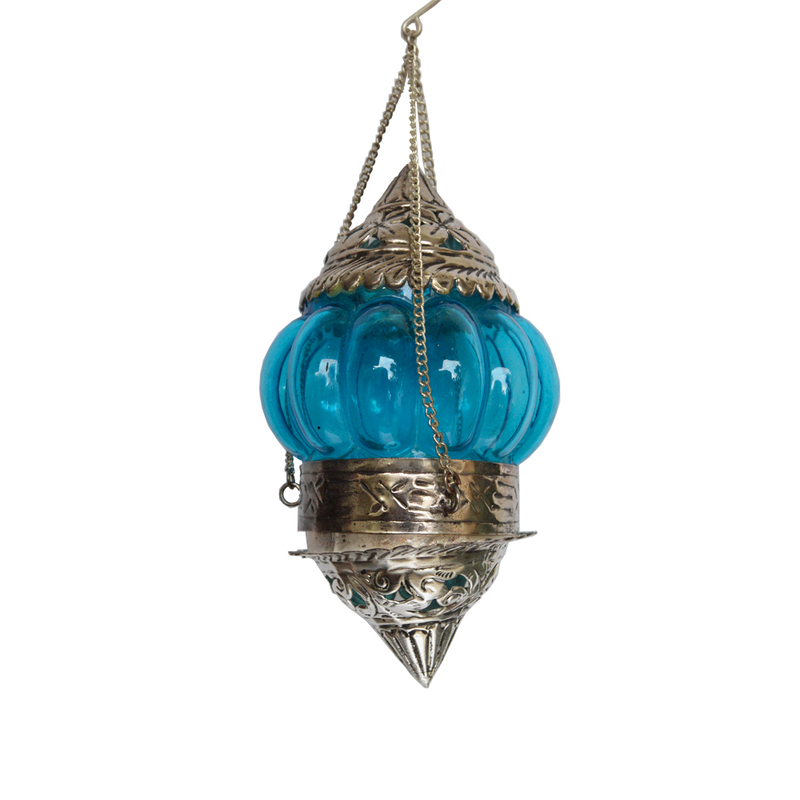 The Decorative Hanging Candle Stand in Oxidized Metal boasts of truly mesmerizing design inspiration to make for an extremely eye-catching inclusion to the best of Read More..wall decors. In fact, the cool blue hue present in the mid section of this candle stand that opens from one side perfectly contrasts the dazzling silvery sheen of the white metal body. This candle stand presents the perfect combination of sensational aesthetics with a pragmatic design to make it both beautiful and useful at the same time. Show Less..